The Bahmani Sultanate or Bahmanid Empire was a Muslim state of the Deccan in southern India and was one of the great medieval Indian kingdoms. It was North Deccan region to the river Krishna. According to some Muslim historian a rebel chieftain of Saulatabad (an area around Ellora), was under Muhammad Bin Tughalaq. The sultanate was founded on 3rd of August 1347 by the Turkish Governor Ala-ud-Din Hassan Bahman Shah/ Hasan Gangu/ Allauddin Hassan, possibly of Tajik-Persian descent, who revolted against the Sultan of Delhi, Muhammad bin Tughluq. Nazir uddin Ismail Shah who had revolted against the Delhi sultanate stepped down on that day in favour of Zafar Khan/ Hassan Gangu who ascended the throne with the title of Alauddin Bahman Shah. His revolt was successful, and he established an independent state on the Deccan, including parts of present day Karnataka, Maharashtra, and Andhra Pradesh within the Delhi Sultanate's southern provinces. The Bahmani contested the control of the Deccan with the Hindu Vijayanagara Empire to the south. The Bahmani capital was Ahsanabad (Gulbarga) between 1347 and 1425 when it was moved to Muhammadabad (Bidar). The sultanate reached the peak of its power during the vizierate (1466–1481) of Mahmud Gawan. About eighteen kings ruled during the nearly 200 years. 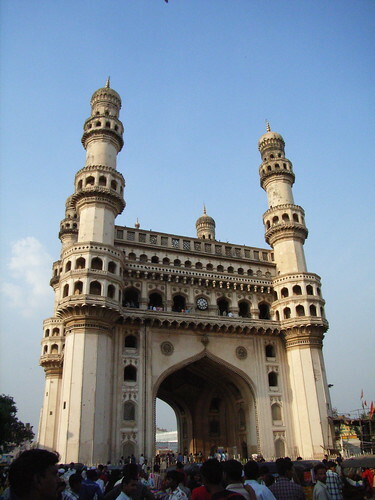 After 1518 the kingdom got divided into four smaller ones like Barishahi (Bidar), Kutbshahi (of Golkonda), Adamshahi( of Ahmadnagar), and Adilshahi (of Bijapur), known collectively as the Deccan sultanates. Nasir-ud-din Ismail Shah asked Zafar Khan to become the King with the title of ‘Sikandar- uth- thani Ala-ud-din Hasan Bahman Shah al-wali’. The new King was crowned on Friday Aug 3, 1347 in the mosque of Qtub-ud-din Mubarak Shah Khalji at Daulatabad. According to one historian, Hasan was the nephew of Malik Hizhbar-ud-din entitled Zafar Khan' Alai, who was killed in 1298 AD when Hasan was only 6 years old. Silver Coins struck in the name of Muhammad Shah I in, Silver coin of and a Gold coin is also known. No coin of his successor Mujahid Shah is known. Mujahid Shah's Gold coin is known. This indicates that Muhammad Shah I might have died in 1375 and issue may be a posthumously in his Mujahid Shah's reign. Immediately on Mujahid's murder Daud Shah proclaimed king of Deccan and all those present paid homage to him. It is said that Ruh Parwar Agha (Mujahid's sister) got Daud murdered through a royal slave Bakah while he was attending Friday prayer of Muharram, in great mosque of Gulbarga Fort. Ruh Parwar after taking revenge of her brother's death, blinded Sanjar ( S/o Daud I ). She put Muhammad II brother of Daud I on throne. Muhammad Shah II's 19 year reign was one of the most peaceful period in the whole Bahmani history. Since he had no son so he adopted two sons Firoz Shah and Ahmad I of his uncle Ahmad Khan s/o Bahman Shah. But after the birth of Tahmatan Shah, Muhammad on his death bed wished that Ghiyasuddin Tahmatan Shah should succeed him and Firoz and Ahmad should pay homage to him. Muhammad's elder son Ghiyas-ud-din Tahmatan Shah succeeded to the throne without any trouble. Taghalchin (Turkish slave) who wanted to be the Prime Minister arranged a big feast at which king was also invited. Taghalchin blinded the king on Ramadan, and imprisoned him at Sagar and his step brother Shams-ud-din Daud II was put on the throne. The first thing the boy king was made to do was to promote Taghalchin to be the Malik Naib and Mir Jumla of the kingdom. The manumitted slave girl who was Shamsuddin's mother was now raised to the rank and title of Makhduma-i-Jahan (Dowager Queen). Taghalchin tried to persuade Shamsuddin to imprison Firoz and Ahmad and asked king's mother to have them done to death. On hearing of the conspiracy the two brothers fled to Sagar. Firoz proclaimed himself king making his younger brother Ahmad Khan Amir-ul-umra, Mir Fazlil-lah Inju Wakil (Prime Minister). He had the blind boy Ghiyasuddin Tahmatan with him. He directly attacked into the Darbar Hall. Taghalchin and his son was killed Daud II was blinded and allowed to move Mecca with his mother. Shamsuddin Daud II died in 1414 AD at Mecca. Ahmed Shah's, and his empress's, tomb is located in Ashtur village, Bidar District, and is the subject of an annual ‘urs’, or anniversary of death festival. On Humayun's death his son Ahmad succeeded to the throne as Nizam-ud-din Ahmad III at the age of 8. He was escorted to the throne by Shah Muhib-ul-la and Syed-us-Sadat Syed Hanif. Late king had nominated a council of Regency constituting of Khwaja-e-Jahan Turk, Mahmud Gawan with the Dowager Queen Makhduma-e-Jahan Nargis Begum. Master mind which ruled the country during the short reign of Ahmad Shah III was that of the great queen. All the political prisoners of Humayun period were released. Ahmad III died on the very night of his marriage on and was succeeded by his younger brother Muhammad Khan as Shams-ud-din Muhammad Shah III. Amir Barid was very clever, He put Mahmud's son Ahmad on throne. Amir Barid was careful that king should not leave the palace but he actually set about to spoil his life and morals. New Sultan was forced to breakup the ancient crown of the Bahmanis, worth 15 lakes of Rupees (Rs. 1,500,000), and sell the jewels in order to provide himself with the means of ease and pleasure. Sultan died on Muharram Dec 15, 1520. Amir Barid's wish to become king was rekindled with Ahmad's death. He put the crown on Ahmad's son Ala-ud-din on Dec 28, 1520.The new Sultan was wise and courageous. Amir Barid conspired against him and Sultan was dethroned. Amir Barid put Waliullah son of Mahmud on throne. He was imprisoned in his own zanana (ladies room) and lived on bread and clothes provided to him by his master. Amir Barid married the pretty Bibi Sitti, Ahmad's widow who was just 22-23 yrs. Amir Barid was now a royal kinsman and was free to enter the zanana apartment of the palace. He began to make love with the queen. When Sultan resisted he was poisoned.